CASE OF THE DODDERING DETECTIVE Has Holmes met his match? When you see Sherlock Holmes' name, you expect adventure and danger, not a memory piece, which is why there's something disconcerting about Mr. Holmes. In director Bill Condon's new film, the beloved detective faces his ultimate adversary, old age, and it's one struggle he cannot win. Based on the novel A Slight Trick of the Mind by Mitch Cullin, Mr. Holmes is a reunion for Condon and Ian McKellen, who last worked together on 1998's Gods and Monsters. Set in 1947, Mr. Holmes tells of Sherlock's retirement in the country as a beekeeper. He's tended by an impatient cook, Mrs. Munro (Laura Linney), and her brainy, fatherless son, Roger (Milo Parker). Holmes has just returned from an arduous trip to Japan with some foul root called "prickly ash" that may fight the coming of senility. He focuses his waning abilities on solving two final cases. One is the question of what is killing his bees. The second is the account of his last client in events that happened three decades earlier—a story fictionalized and given a happy ending by Dr. Watson. Holmes cannot recall the real outcome, despite certain sharp memories of a lady's gray glove and the trilling of a glass harmonica. 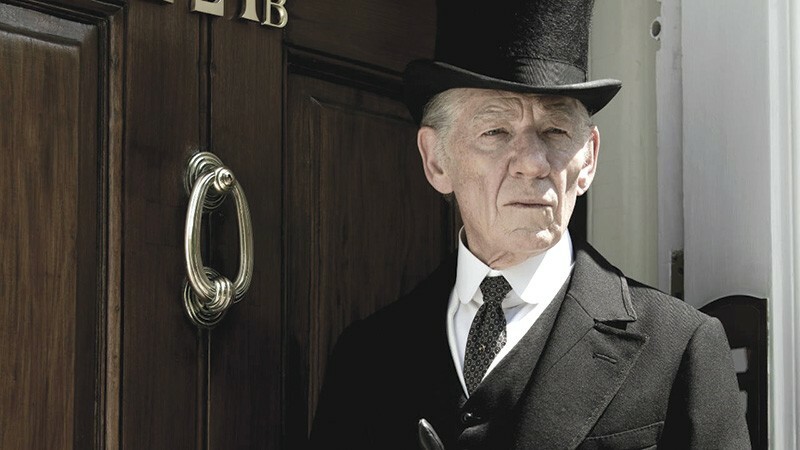 McKellen is 76 and appears very hale in flashbacks to the 1920s, where we see him swinging his walking stick with brio. These scenes alternate with shots of the detective looking blank and ape-like as the vacancy of mind strikes him. This is an acute, bravely unsentimental portrait of decay that's as tough to watch as it is impossible to turn away from. Mr. Holmes is a touching and elegant film with a deep, pellucid poignancy softened by Carter Burwell's soundtrack. There's nothing pandering about McKellen's foxy yet affecting performances, both as the sage in his 60s, who fails to see a clue in plain sight, and the 90-year-old recluse with a crumbling mind. 'Mr. Holmes' is playing in wide release in the North Bay.